How can I see my South Fork American Pictures? If you were not able to see your South Fork American photos when you were in town, please visit HERE to request your images to be uploaded. Can I cancel my order once its been placed? What is your shipping policy? How long until I get my order? We no longer need to ship out any orders and our delivery time is very quick! All orders placed online are all delivered via Dropbox. You will get an email with a link to your Dropbox download the following morning after you place your order. Dropbox orders will be charged a surcharge of $5 but will not be charged sales tax. If you visit our shop in Coloma you can get your order on a CD or delivered via Dropbox. There is a surcharge of $3 for orders burned on CD and you will be charged sales tax. Dropbox orders have a surcharge of $5 but are not charged sales tax. Do you offer image downloads or Dropbox? Yes. Images are delivered via Dropbox digitally when placing an order online. There is a $5 surcharge but you will not be charged sales tax. .
What is included on an Image set? What is the resolution of the files? 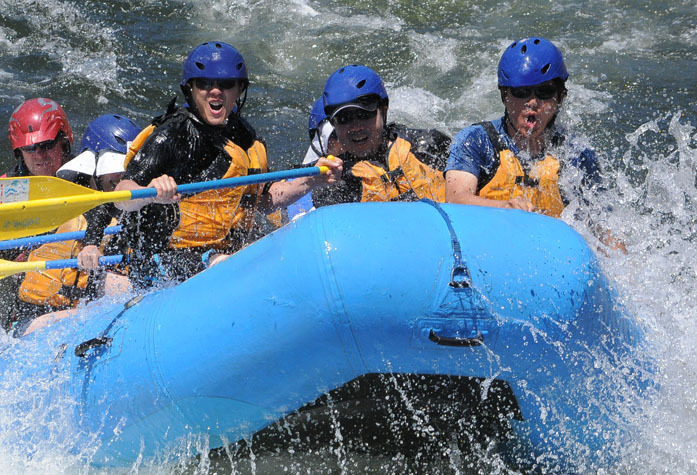 Our Image set includes all the shots of your boat at the rapid(s) you order. The resolution of the images of your boat is the full res files exactly as they were shot in the camera - our cameras range in resolution from 5 megapixels to 10 megapixels. All our cameras are professional level digital SLRs. Images are all .JPG format to for ease of use and maximum compatibility. What is the difference between an Image set and a Single Image set? An image set will contain ALL the images of your boat at whichever rapids you ordered where the single image set is just that - a single image of that frame. What are your products / prices?